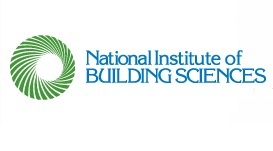 WASHINGTON, D.C. –- (RealEstateRama) — The International Code Council (ICC) has renewed its commitment to serve as the Conference Sponsor for Building Innovation 2018: The National Institute of Building Sciences Sixth Annual Conference and Expo. To be held January 8-11, 2018, at the Mandarin Oriental in Washington, D.C., Building Innovation 2018 will unite representatives from across the industry to discuss strategies and seek solutions to Sustain, Strengthen, Secure. A Sustaining Organization Member of the Institute, ICC participates in leadership roles on a number of Institute councils and committees and ICC members serve on the Institute Board of Directors. Since the Institute’s founding more than four decades ago, ICC and the Institute have collaborated on numerous projects to improve the safety of U.S. communities. This is the third year in a row that the ICC has taken the lead sponsorship role in the Building Innovation Conference series. Building Innovation 2018 gives building professionals from across the industry the chance to witness the Institute’s impact on the industry; interact with industry experts and innovators; gain a wealth of information through educational programs; earn continuing education units; and share their expertise and experiences. As top sponsor, ICC will be featured throughout the Conference venue and on the Exhibit Hall floor. There are many other opportunities for sponsorships and exhibit spaces during Building Innovation 2018. Companies interested in showing their support for the Institute and the building community can reserve a sponsorship and/or exhibitor space online.